Areas of patchy fog early. Overcast. High 52F. Winds WNW at 5 to 10 mph..
Orange High School graduate Jordan Matthew Brown has gone from performing in his basement to the stages of Broadway on Tour. Brown is an understudy for the leading role of Elder Arnold Cunningham in “The Book of Mormon,” a religious satire musical about the Church of Jesus Christ of Latter Day Saints. Brown made his professional stage debut at the Barbara B. Mann Performing Arts Hall in Fort Myers, Fla., on Jan. 28. He performed four times in two days. Brown, 23, began putting on plays in his basement as a toddler. Inspired by the ‘Wizard of Oz,’ he fell in love with musical theatre. “I have always loved theater, and I cannot remember a time where I did not want to be an actor,” Brown said. His mother is Amy Groedel of Beachwood and his father is Dan Brown of Orange, who helped him pursue his passion outside of the house, enrolling him in theater camp and after-school activities with Stagecrafters Youth Theatre in Orange. He found a home on stage, playing Charlie Brown in a version of “You’re A Good Man Charlie Brown” with his class. A 2012 graduate of Orange, Brown spent half the day in high school and half the day at the Academy for the Performing Arts in Chagrin Falls. Through high school and summers away from college at Boston University, Brown was a camp counselor at the Mandel Jewish Community Center’s Playmakers Youth Theatre. 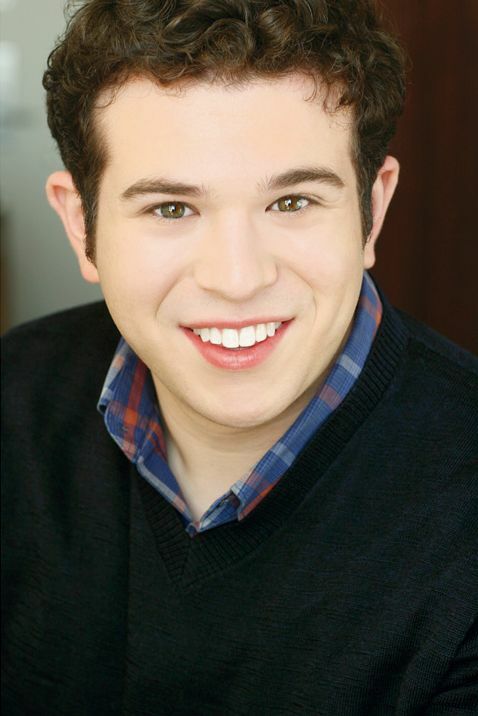 Brown graduated from Boston University in 2016 with a Bachelor in Fine Arts in theater, where he acted in a role that connected him to his Jewish heritage. “I also was lucky enough to play Leo Frank in the musical ‘Parade’ at BU my last semester there, which was something I will forever remember and it was an amazing way to reconnect with a part of Jewish history that I did not know as much about,” he said. He recently moved to New York City, where he auditioned for “The Book of Mormon” in March 2016. He found out that he would be joining the cast last April, and kept the news secret for several months. The tour will visit 14 locations across the United States and Canada before coming to the State Theatre at Playhouse Square in Cleveland from Sept. 12-17. Reagan Anthony is the Yoda Newton Editorial Intern.